Home » Events and Blogs » Blog » Oh Sugar. By now, you’ve probably heard all about the impacts that refined sugars can have on your body (hint; it’s not great for us!). But what are the alternatives and are they actually good for us to consume? On average, Australians consume 30 teaspoons of natural and added sugar a day! All of which play a role in your body’s weight and blood sugar levels, whether it’s refined or natural. Sugar is highly addictive (in any form!) 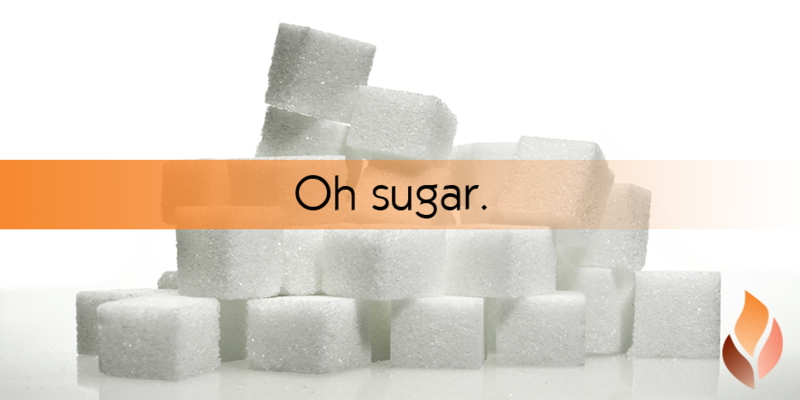 but a high sugar diet (especially refined sugars) can be dangerous to your health. Sugar can have a rather harmful effect on the body such as causing type 2 diabetes, creating an acidic environment in the digestive system, weakening the function of the liver and causing high blood pressure (and these are just the beginning!). Reducing your sugar intake is a great start – such as having half a teaspoon of sugar in your coffee instead of 1 teaspoon. However, if you’re incredibly determined to ween yourself off the heavily processed, refined sugars (which we would highly recommend!) here’s your table of alternatives! Xylitol This is a naturally occurring alcohol found in plant material, including fruit and vegetables. It tends to pop up in the ingredients panel on chewing gum, sweets such as mints, some jams and baked treats. It tastes sweet but, unlike sugar, it isn’t converted into decay-causing acids in the mouth, so it can be less damaging to the teeth. It is recommended, however, to minimise your intake if you are prone to suffering gastrointestinal problems. Xylitol is in virtually any food that’s labelled ‘sugar free’. The advantage to using xylitol is that it bulks food out, keeping you full, plus it’s tooth friendly. Honey This is the original natural sweetener, made by bees, which collect the nectar of flowers and break down the simple sugars in the honeycomb. Honey takes longer for your body to digest, therefore the blood sugar levels are raised slowly rather than giving a massive spike. Locally sourced honey (such as our Bonfire honey!) is has a lower GI than the supermarket blends. Honey is great in teas and can be used as a replacement in recipes – just be aware that whilst it’s natural, it still has a high calorie and high sugar quality. Agave Nectar It’s one-and-a-half-times sweeter than sugar, and comes from the same plant that makes tequila. Like xylitol, it can affect your stomach if you suffer from irritable bowel syndrome or are sensitive to fructose. Whilst this sweetener has a lower GI, it still contains a high amount of kilojoules and carbohydrates so it will have the same effect on weight and blood sugar. Rice Malt Syrup This is made by culturing rice with enzymes to break down the starches and then cooked to form a syrup. You’ll commonly find this recommended in recipes as a healthy alternative to cooking with sugar, but at 16 calories per teaspoon, it isn’t ideal for fat burning or blood sugar control. This sweetener has a very high GI. It’s also only about 70% as sweet as sugar, therefore you tend to use more. This can therefore have a greater impact on blood glucose levels.